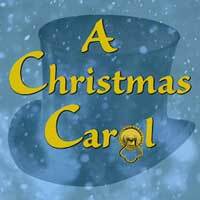 A Metropolis tradition, celebrate the holiday with Ebenezer Scrooge and the Cratchit family. Scrooge's only concern is with making money, no matter the cost to those around him. He doesn't even want his loyal employee Bob Cratchit to take the day off for Christmas and turns down his nephew's invitation to join his family for Christmas Dinner. Scrooge is visited on Christmas Eve by three magical spirits who take him on a journey through his painful past, gloomy present, and possibly fatal future as he learns how his actions have affected those around him.